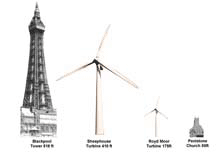 Clicking on the images to the right will launch a new browser window containing a larger version. 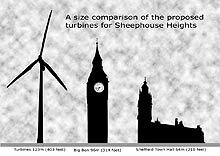 The top image shows a comparison between the turbines and 'Big Ben' clock tower which comes in at 96m. 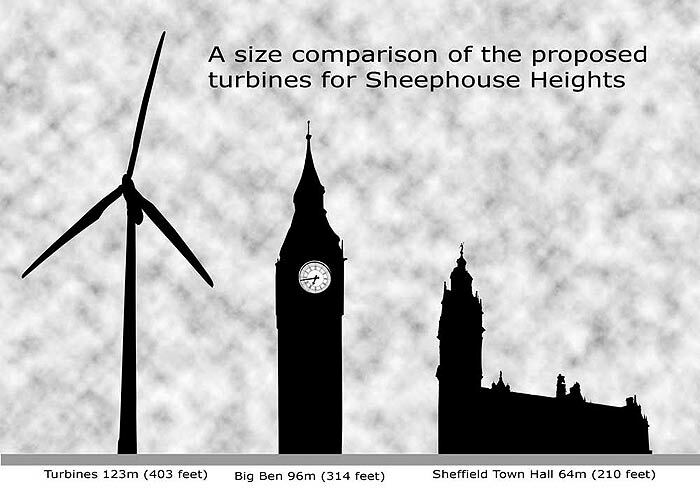 Followed by Sheffield Town Hall which weighs in at a tiny in comparison 64m.